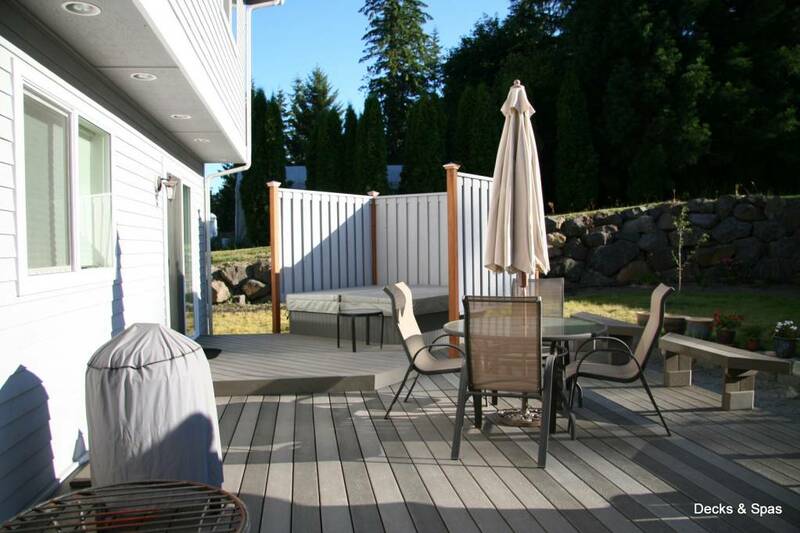 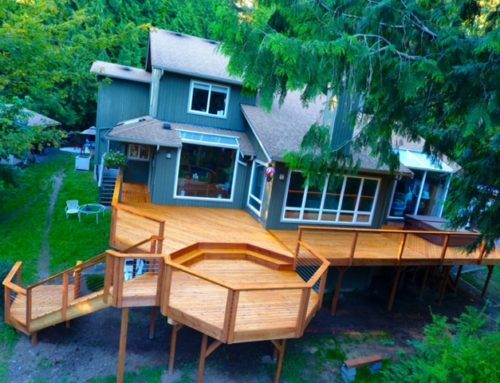 The area you live in, the people who live around you and the overall design and layout of your house the yard is what leads the design of our decks. 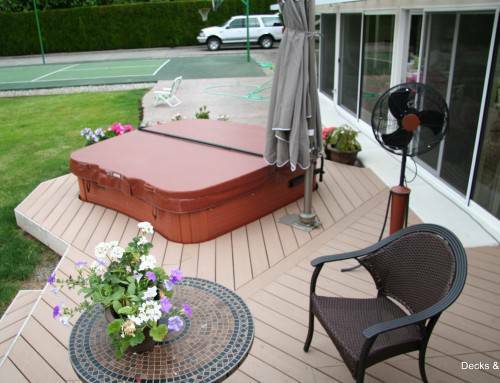 The first thing you’ll likely notice is the custom privacy walls we built for this customer to use to enjoy their own time in the hot tub secluded from the outside world but still able to gaze at the stars. 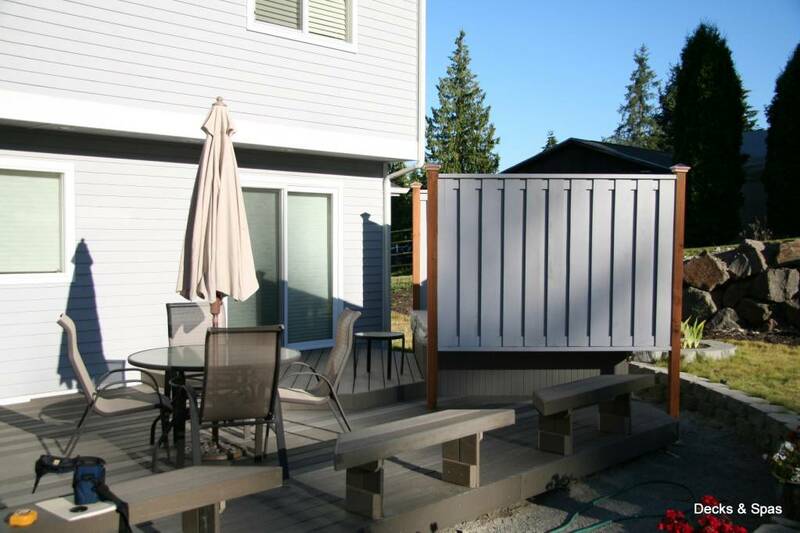 The privacy wall strikes a perfect balance between a cover lifter providing some privacy and a full fledged gazebo, completely enclosed. 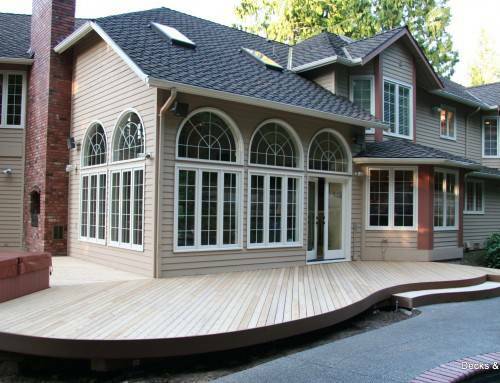 Beyond that the yard and the landscape curve around the house, a stone wall on one side and the deck on the other. 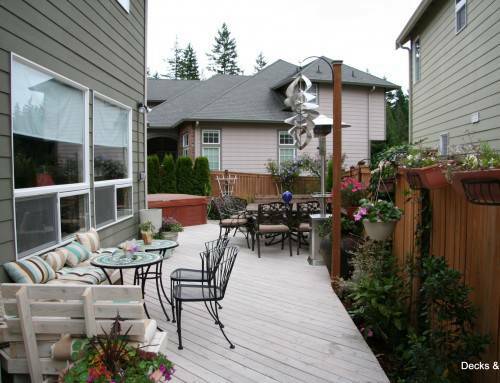 From the area where the deck is we built nice benches to sit and enjoy the outdoors and a nice little area to dine in. 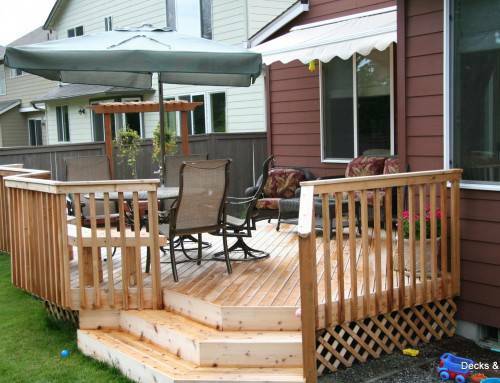 Even a deck that seems so simple is still a project in seeing how far we can go to improve the outdoor experience.